Accidentally disclosed information confirms the U.S. is actively planning to prosecute Julian Assange. What happens to Assange will almost certainly change what can be lawfully published in our democracy. This threat to our freedoms is being largely ignored because the Assange, once a progressive journalist, is now regarded as a hero-turned-zero. At stake? The ability of all journalists to inform the public of things the government specifically wants to withhold. Though the new information makes clear prosecution is planned if Assange can be delivered to American custody, no further details are available. 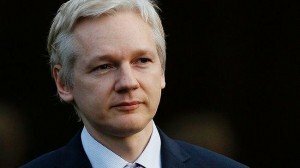 Assange is under scrutiny at a minimum for unauthorized possession of classified material going back to at least 2010, when Wikileaks burst on to the international stage with evidence of American war crimes in Iraq, and exposed years worth of classified State Department diplomatic cables. More recently, Assange has been accused of trying to manipulate the 2016 U.S. presidential election with his release of emails from the Democratic National Committee server. The emails, some believe, came to Wikileaks via hackers working for the Russian government (Assange denies this) and are deeply tied to the claims of collusion between the Trump campaign and Moscow otherwise known as “Russiagate.” Less publicized in the media but of critical concern inside the U.S. government is Wikileaks’ publication of the so-called Vault 7 materials, CIA hacking and malware tools, which revealed American technical intelligence skills and methods. Assange has hinted on at least one occasion he may have “Vault 8” materials as yet unreleased. In 1971 Daniel Ellsberg leaked the Pentagon Papers, a classified history of the Vietnam War, to the New York Times. Reporters at the Times feared they would go to jail under the Espionage Act but published anyway, even as the Washington Post wimped out. The Nixon administration quickly found a court to order the Times to cease publication after initial excerpts were printed, the first time in U.S. history a federal judge censored a newspaper. The Pentagon Papers case has governed everything about national security journalism from that day until the moment the U.S. government finally gets Julian Assange into an American courtroom. But instead of becoming the first president to jail a journalist for what he published, Obama punted. Happy with the decision affirming they could have prosecuted Risen, with no explanation prosecutors asked the U.S. District Court to simply leave Risen alone. Risen’s alleged source went to jail instead for leaking classified. The unspoken rules stayed intact. The government is likely to cite the clear precedent from the Obama years it damn well can prosecute journalists for revealing classified information, and keep the established media happy by offering enough thin exceptions (natsec journalism groupies have already started making lists) to appear to isolate Assange’s crucifixion from setting broad precedent. Say, start with the fact that he wasn’t covered by the 1A outside the U.S., that his sources were Russian hackers seeking to harm the U.S. instead of misguided chaps like Ellsberg and Manning. Assange had no national interest in mind, no sincere desire to inform the public. He, a foreigner no less, wanted to influence the 2016 election, maybe in collusion! This weekend I joined a number of people in an online vigil in support of Wikileaks’ Julian Assange. People ask why I did it; Assange is at best imperfect in who he is and what he does. But supporting him transcends him, because the battle over the prosecution of Assange is where the future of free speech and a free press will be decided. Even if you think Assange doesn’t matter, those things do. Assange is challenging to even his staunchest supporters. In 2010 he was a hero to opponents of the wars in Iraq and Afghanistan. Others called him an enemy of the state for working with whistleblower Chelsea Manning. Now most of Assange’s former supporters see him as a enemy of the state and Putin tool for releasing the Democratic National Committee emails. Even in the face of dismissed charges of sexual assault, Assange is a #MeToo villain. He a traitor who hides from justice inside the Ecuadorian embassy in London, or a spy, or some web-made Frankenstein with elements of all of the above. And while I’ve never met Assange, I’ve spoken to multiple people who know him well, and the words generous, warm, or personable rarely are included in their descriptions. But none of that really matters. 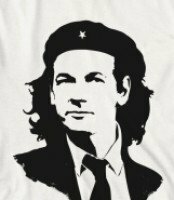 Support is due because Assange ends up being the guy standing at a crossroads in the history of our freedoms – specifically, at what point does the need for the people to know outweigh laws allowing the government to keep information from view? The question isn’t new, but becomes acute in the digital age, where physical documents no longer need to be copied one-by-one, can be acquired by hackers from the other side of the world, and where publishing is far removed from the traditions, obstacles, safeguards, and often-dangerous self-restraint of traditional journalism. A complex history precedes Assange. In 1971 Daniel Ellsberg leaked the Pentagon Papers, a secret U.S. government-written history of the Vietnam War, to the New York Times. No one had ever published such classified documents before, and reporters at the Times feared they would go to jail under the Espionage Act. A federal court ordered the Times to cease publication after an initial flurry of excerpts were printed, the first time in U.S. history a federal judge censored a newspaper. In the end the Supreme Court handed down a victory for the First Amendment in New York Times Company v. United States and the Times won the Pulitzer Prize. The Supreme Court left the door open to prosecute journalists who publish classified documents by focusing narrowly on prohibiting the government from exercising prior restraint. Politics and public opinion, not law, has kept the government exercising discretion in not prosecuting journalists, a delicate dance around this 800 pound gorilla loose in the halls of democracy. The government meanwhile has aggressively used the Espionage Act to prosecute the whistleblowers who leaked to those same journalists. The closest things came to throwing a journalist in jail was in 2014, when the Obama administration subpoenaed New York Times reporter James Risen. The government accused former CIA officer Jeffrey Sterling of passing classified information to Risen, information it said appeared in his book State of War. After a lower court ordered Risen under threat of jail to testify and disclose his source, the Supreme Court turned down Risen’s appeal, siding with the government in a confrontation between a national security prosecution and an infringement of press freedom. The Supreme Court refused to consider whether there existed a gentlemen’s agreement under the First Amendment for “reporter’s privilege,” an undocumented protection beneath the handful of words in the free press clause. In the end the government, fearful of setting the wrong precedent, punted on Risen. Waving the flag over a messy situation, then-Attorney General Eric Holder announced “no reporter who is doing his job is going to go to jail.” Risen wasn’t called to testify and was not punished for publishing classified material, even as the alleged leaker, Jeffrey Sterling, disappeared into jail. To avoid the chance of a clear precedent that might have granted some form of reporter’s privilege under the Constitution, the government stepped away from the fight. The key issues now wait for Julian Assange. Should the government prosecute Julian Assange, there are complex legal questions to be answered about who is a journalist and what is publishing in the digital world. There is no debate over whether James Risen is a journalist, and over whether a book is publishing. Glenn Greenwald has written about and placed online classified documents given to him by Edward Snowden, and has never been challenged by the government as a journalist or publisher. Both men enjoy popular support, and work for established media. The elements of fact checking, confirming, curating, redacting, and in writing context around the classified information, were all present in the New York Times’ case with the Pentagon Papers, and are present with American citizens Risen and Greenwald. Definitions and precedent may be forming. Assange is an easier target. The government has the chance to mold the legal precedents with such certainty that they may seize this case where they have backed away from others in the long-running war of attrition against free speech and the press. Assange isn’t an American. He is unpopular. He has written nothing alongside the millions of documents on Wikileaks, has done no curating or culling, and has redacted little information. Publishing in his case consists of simply uploading what has been supplied to him. It would be easy for the government to frame a case against Assange that set precedent he is not entitled to any First Amendment protections simply by claiming clicking UPLOAD isn’t publishing and Assange isn’t a journalist. The simplest interpretation of the Espionage Act, that Assange willfully transmitted information relating to the national defense without authorization, would apply. Guilty, same as the other canaries in the deep mineshaft of Washington, DC before him, no messy balancing questions to be addressed. And with that, a unique form of online journalism would be squashed. And that really, really matters. Wikileaks sidesteps the restraints of traditional journalism. Remember in 2004 the New York Times held the story of George W. Bush’s illegal warrantless eavesdropping program until after his reelection. In 2006 the Los Angeles Times suppressed a story on wiretaps of Americans when asked by the NSA. Glenn Greenwald said it plainly: too many journalists work in self-censoring mode, “obsequious journalism.” Meanwhile Assange has made mistakes while broadly showing courage, not restraint, under similar circumstances. The public is better informed because of it. Wikileaks’ version of journalism says here are the cables, the memos, and the emails. Others can write about them (and nearly every mainstream media outlet has used Wikileaks to do that, some even while calling Assange a traitor), or you as a citizen can simply read the stuff yourself and make up your own damn mind. That is the root of an informed public, through a set of tools never before available until Assange and Internet created them. If Assange becomes the first successful prosecution of a third party, as a journalist or not, under the Espionage Act, the government can turn that precedent into a weapon to attack the media’s role in any national security case. On the other hand, if Assange can leave London for asylum in Ecuador, that will empower new journalists to provide evidence when a government serves its people poorly and has no interest in being held accountable.